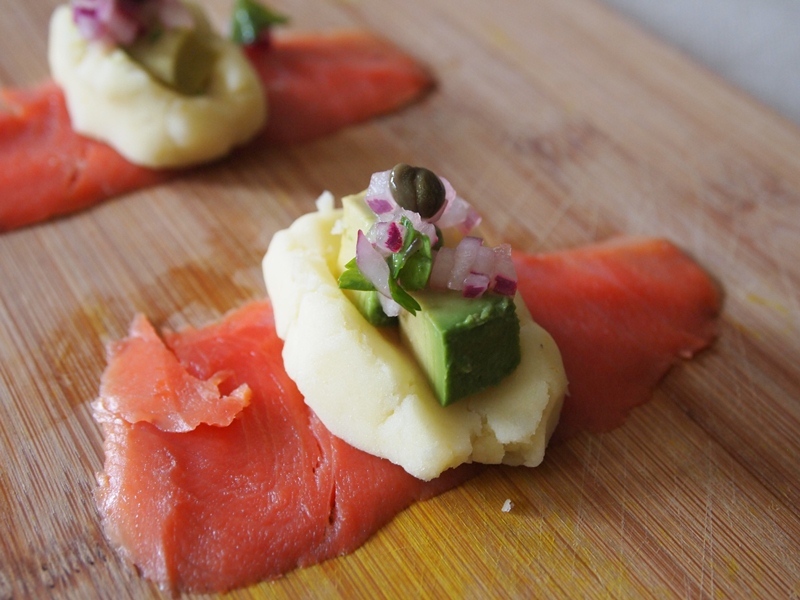 Peruvian food, recipes, restaurant reviews. 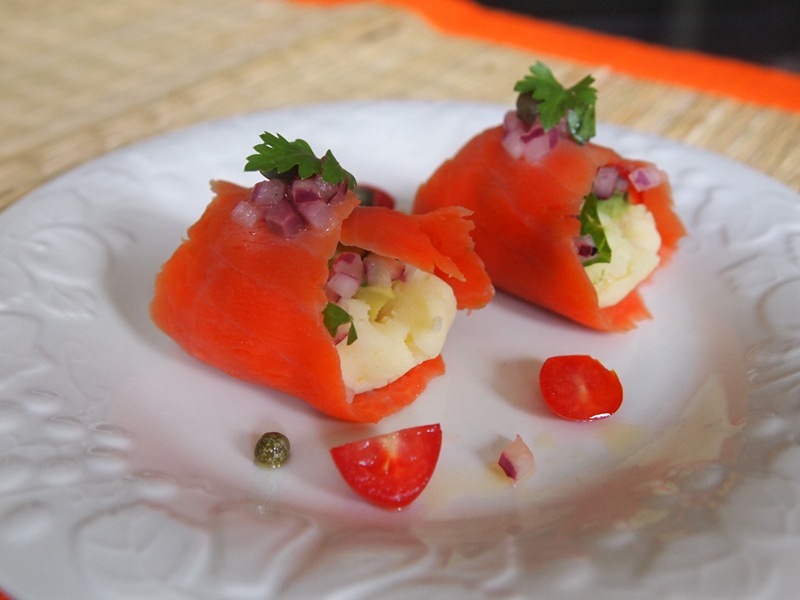 Beautiful Peruvian cuisine pictures, simple instructions, step by step recipes. 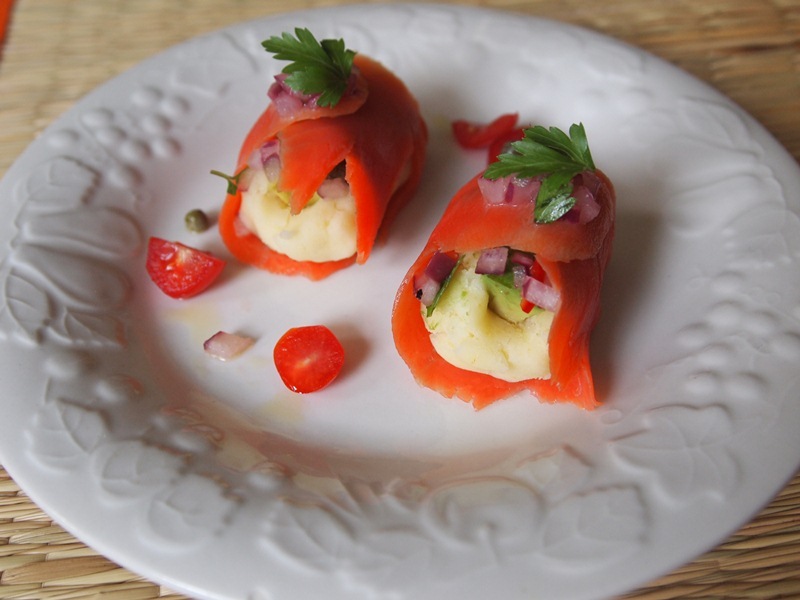 Two days ago my daughter was making causa with smoked salmon, and while she was taking photos of the finished dish, I decided to make a small bite for myself with the leftover ingredients. 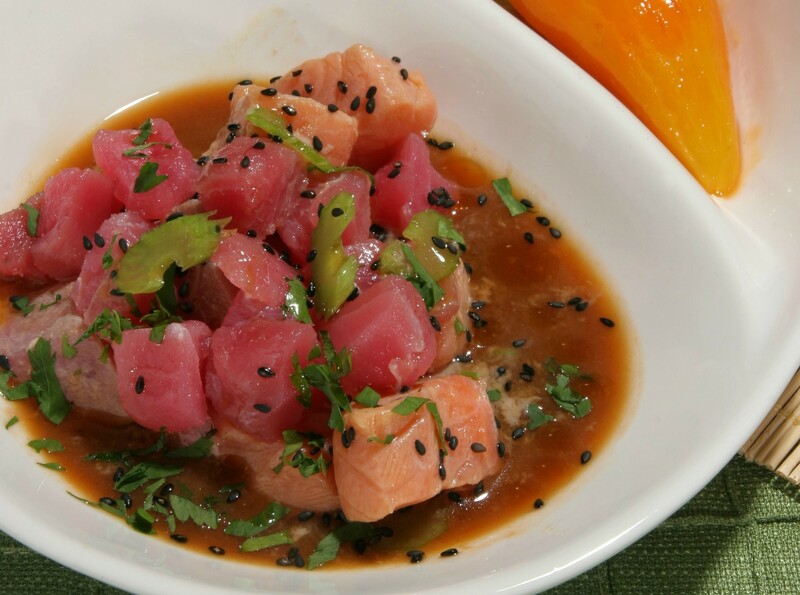 It was so easy and delicious that we thought it was a good idea to share it with you. These rolls are the perfect finger food for any al-fresco party, for a picnic in the park, or to have as a snack or an appetizer. 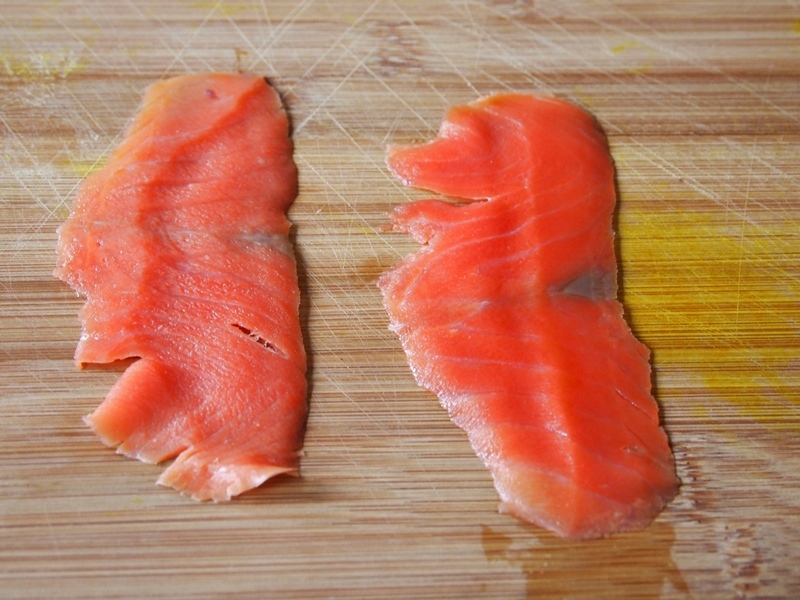 Step 1: Place the salmon slices on a chopping board. Step 2: Top each slice with a small portion of the mashed potato used to make causa (the size of a walnut) and a couple pieces of avocado. Step 3: Add a teaspoon of finely chopped salsa criolla, and 2-3 capers. 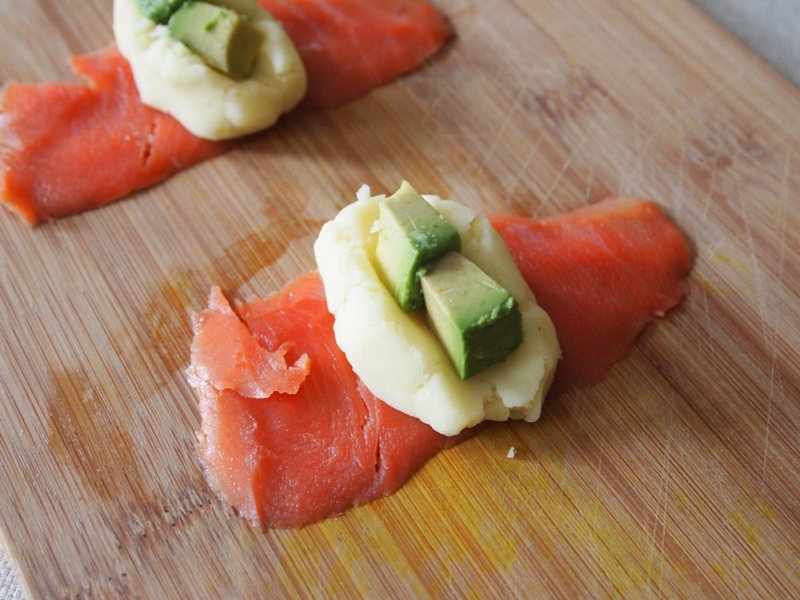 Step 4: Fold the salmon slices, wrapping the filling. Top with more salsa criolla, more capers, garnish with parsley leaves, and serve with cherry tomatoes and / or black olive slices. What could be easier and more colorful than this? This blog is a loving tribute to the intoxicating flavors, colors and aromas of Peru. We are foodies, travelers and passionate promoters of our gastronomy and cultural heritage. 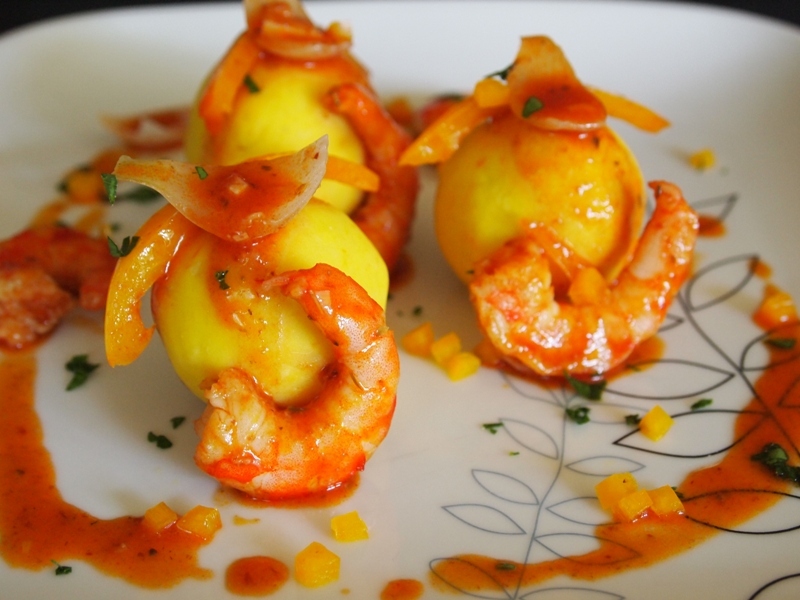 Here you will find delicious recipes of Peruvian food, drinks, treats and desserts. Easy to cook, step by step instructions, excellent photos all compiled by our team and our collaborators. 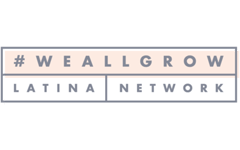 You will find directories of markets where you can get the ingredients and reviews of Peruvian restaurants in the US and the world. The use or reproduction, complete or partial, of our content without express written authorization is prohibited. All rights resserved.